Hayward Gordon chopper pumps are among the most efficient pumps available to move large quantities of heavy material that is too large to move through the pump delivery system. These pumps reduce large-scale material into manageable content that flows more readily to the intended discharge points. Hayward Gordon chopper pumps contain a centrifugal pump that has a complementary cutting system, which chops and reduces solids within the pumped fluids. The chopper mechanism reduces large stones and other content so they do not clog the fluid processing system. This ensures the fluid processing gear continues working as intended without fear of production shutdowns. The centrifugal pump design in Hayward Gordon pumps ensure the pumps provide a highly efficient flow throughout the manufacturing process. When the material is particularly difficult to move and prone to a high rate of clogging, adding Hayward Gordon screw pumps to the system will improve efficiency. Hayward Gordon screw pumps process fluids with a higher force. 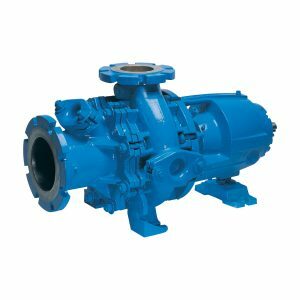 When combined with a chopper pump, the heavy, large material is processed with far less clogging than other types of industrial fluid pumps. When it comes to determining which type of pump would work best, the experienced staff at Arroyo Processing Equipment can assess your site conditions, production goals and your other needs to provide the ideal solution for any fluid processing task. Arroyo Process Equipment is headquartered in Bartow, FL and has locations in Miami, FL, Jacksonville, FL and the Dominican Republic. We even have a global network of authorized distributors who are available 24/7 for installation, maintenance and repair services on Hayward Gordon pumps, Weg motors, Sharpe mixers and other pump equipment. Hayward Gordon chopper pumps and screw pumps are available for facilities in Florida, Georgia, Alabama, South Carolina, North Carolina and nearby states. When in-house technicians need to provide pump maintenance and repairs, we can help them identify which pumps, gearboxes, valves, drives, motors, strainers, shafts and other fluid processing equipment will best serve them. We have more than a half century of experience serving the fluid processing industry, and we are available to serve you. Contact us today with questions or to ask about our turnkey package solutions.